There is a concept that I am only beginning to slightly fathom. It is that God thought up every principle of nature. And then He spoke it into existence.For example: How do birds fly? You say because they have wings. But why do they have wings? How do the wings allow them to fly? You say because of the differential of the density of the air above and below the wing surface created by the wing shape as the air is forced over it. But why is there the principle of differential pressure? Why is there "density" of air? Why does this let them resist the pull of gravity(not how), but then why is there gravity? What were God's thoughts when He made these principles? I think He teaches us about Himself and His love for us and His Creation (and the impacts of sin) through these principles. 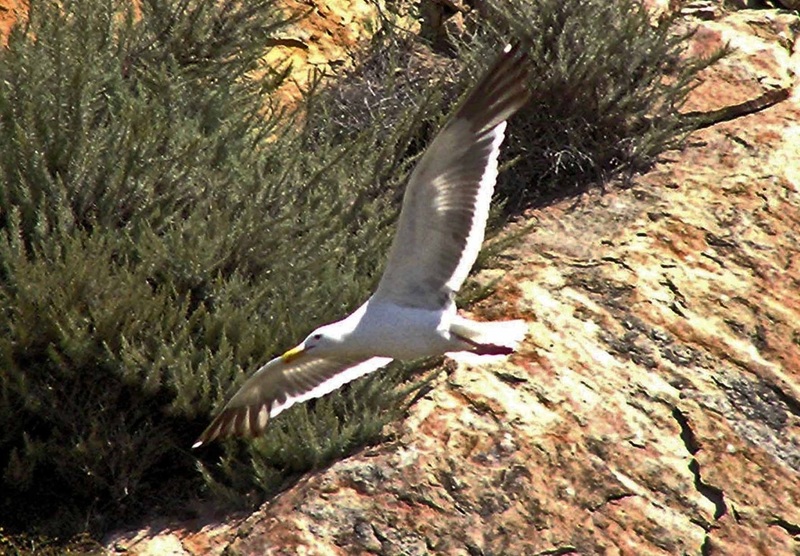 (Picture of Seagull along the California Coast near Morro Bay- by JGL.) It should be noted that Why questions-relate to motives, What questions-relate purpose or function, and Where/When-locality and time, and How-to the process of making or development. The motive of why questions regarding the Creation is one of love: God's love of mankind, the animals and plants. 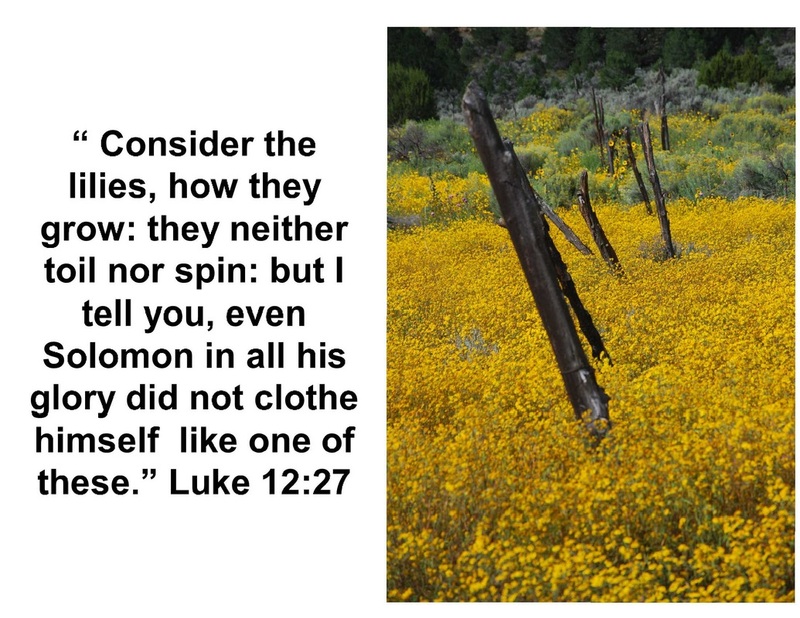 The contrast of corruption seen in parts of the Creation reveal God's justice and mercy yet still motivated by His love. 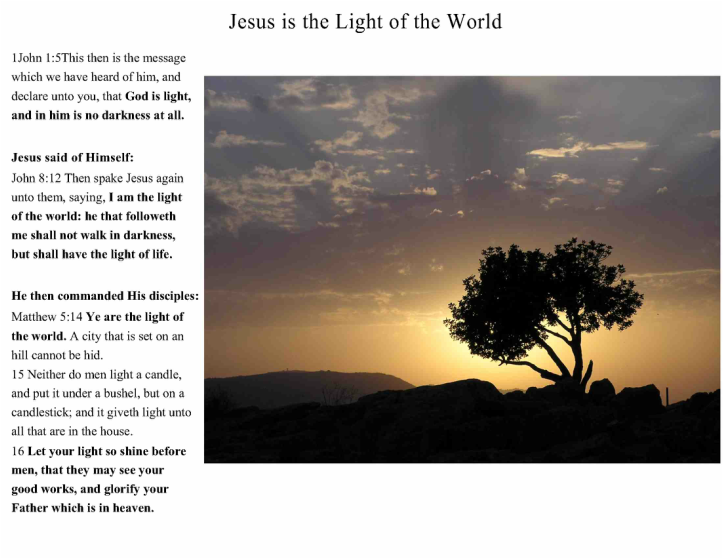 From: King James Version of Bible online. 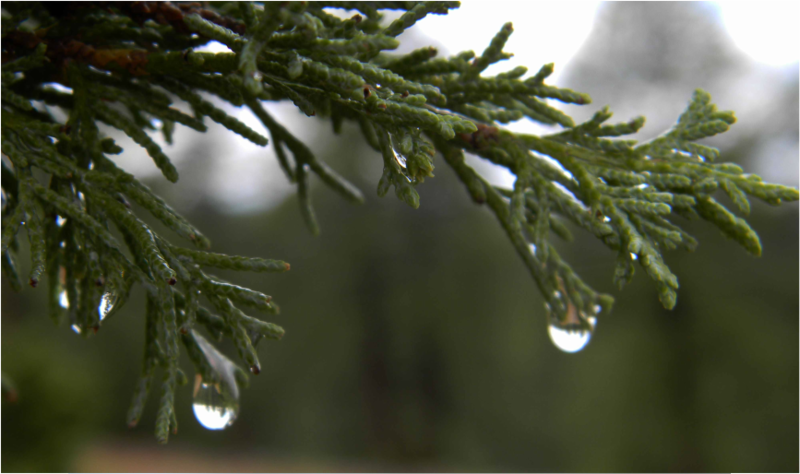 It should be noted that before the flood the sky probably had a denser a canopy of water than now. This would have served to give the earth a greenhouse effect-more constant temperature and humidity, block harmful UV radiation to some degree, yet still provide day and night. And there would have been no rainbow as light would have been diffused through the canopy. So, ﻿the sign of the rainbow would have been a completely new image and experience for Noah.﻿ A sign of God to him-consoling him that God would not destroy the earth again as what Noah had just gone through. It remains somewhat controversial as to exactly what Genesis 1:6-10 has meant. The plain reading of the text is that there was one land mass in the beginning and one mass of water separated from the land. There appeared to have been a canopy of water above. I am not a geophysicist but I tend to accept the rendering/understanding that at the time of Noah's Flood the earth did tilt and the waters of the heavens (atmosphere and not the stars/planets) did collapse to assist in flooding the earth. See 1st link below for more discussion. Also a book in support of the canopy theory is on the 2nd link. Others emphasize that the waters primarily came from below-see 3rd link (of which I agree with as well). It should be noted that the canopy concept is controversial because it is a past event, as is the creation or formation of all the universe. Science can not definitively answer how a past non-reproducible event has occurred-ever! See section on The Interfacing of Religion, Philosophy, and Science. ﻿Figure Legend: 1) A "red" ant hill built from a level surface. 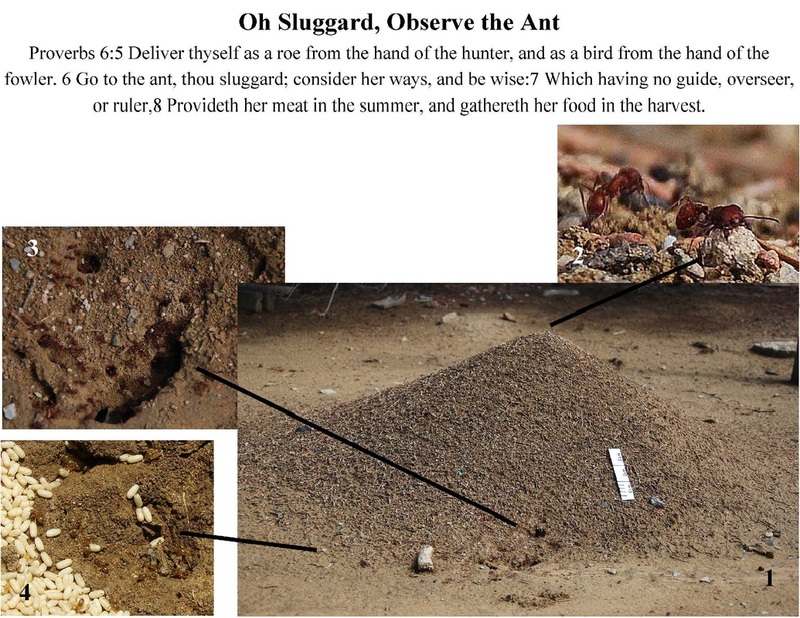 The marker is 15 cm long; 2) An ant moving a white granule as large as its body from down the hill upwards to the top; 3) one of the entrances at the side of the hill with ants scurrying in and out of it; 4) The eggs of another colony that was disturbed and the ants are busily moving the eggs into the hole. The ants originally had the entrance coming out of the top of the hill, but when it got to a certain height they brought it out of the lower side of the hill.How did they "figure" this out? They inherently work continually during the day, but become inactive, at least on the surface, at night. Matthew 23:37 "O Jerusalem, Jerusalem, thou that killest the prophets, and stonest them which are sent unto thee, how often would I have gathered thy children together, even as a hen gathereth her chickens under her wings, and ye would not!" King James Version (KJV) How often has God wanted to gather people under His wings (figurative but also spiritually) but they would not. How great is His mercy to each of us? Let each of us call upon the Lord. Please note: even in instances where a mother, as human or in the animal kingdom, has done harm to the offspring it is an aberration and not the norm. This is consistent with the fall of the creation, which will one day be restored. Again, evolution has no good explanation for the caring behavior of a mother-especially in the evolutionary context of "nature red in tooth and claw". 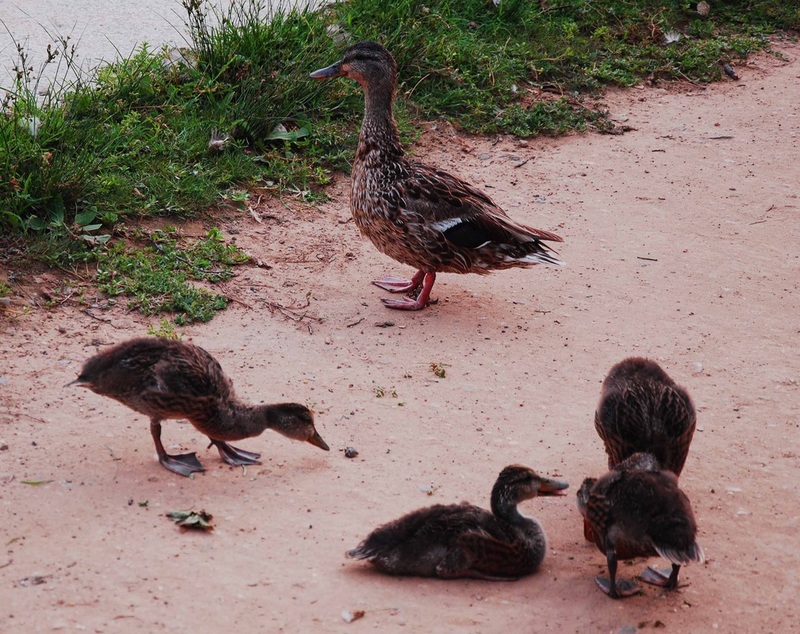 Photo of Ducks in Washington DC by JGL.